Wish³'s changed up a bit! "main.html" no longer works! 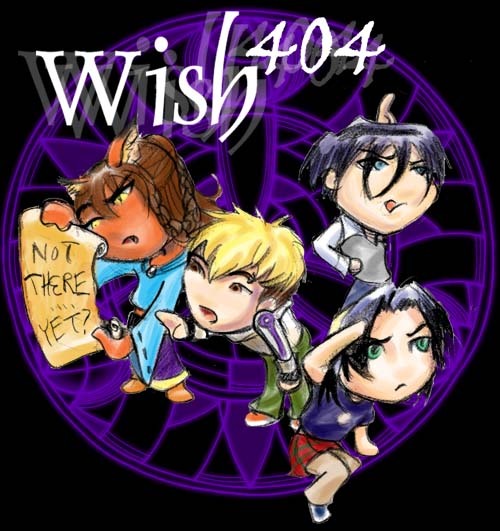 That's right, Wish³'s got a new look and a new code SO! Just click the image and we'll get right to business! Contents of this site is solely the property of Sylvia T. Leung, copyright 2001-2005. All material is copyrighted, so don't use them, permission be damned! It's already a big fat "no!"